Green screen software program allows you apply special effects on videos or still images by removing green screen backgrounds. Here are some recommended applications that you can use for free. This green screen software includes 50 background images, each featuring a different theme. You can use these images as your background for your video projects that use green screens. If you do not want the included images, you can use your own as long as they are in the file formats that the program supports like GIF, JPG, PNG, BMP and TIFF. If you want to practice first so you can work on your projects in a comfortable manner, you can do so using the sample videos and images included in the software. You can adjust the color intensity of the green screen background, making the whole process more efficient and easier. You can download a free trial version. If you want to buy the software, it will cost you $39.95. This software is designed to let professionals and amateurs to apply background on videos and still images. It is focused entirely on removing green screen backgrounds and it does not require any other software. It has a pretty intuitive user interface that makes it ideal for both professionals and beginners. You can basic tasks using the free trial version which is enough if you just want to do simple background removal tasks. However, if you want more advanced features like image editing that includes color adjustments and exposure modification, you can buy the full version for $99.95. This software is actually a plug-in for Adobe Photoshop. By installing this plug-in to your Photoshop application, you will have the ability to do chromakey compositing. It works by creating a complex mask that is based on the transparency and the color of your choosing. This mask retains the areas of detail like hair, glass, water and smoke, making it a flexible tool in applying backgrounds to your photos instead of manually removing the background so you could replace it with your own. It is an efficient way of using your existing photo editor as a chromakey compositing tool. Like the previous free green screen software we discussed, you can get this application’s trial version for free. You can buy the plug-in for $199. 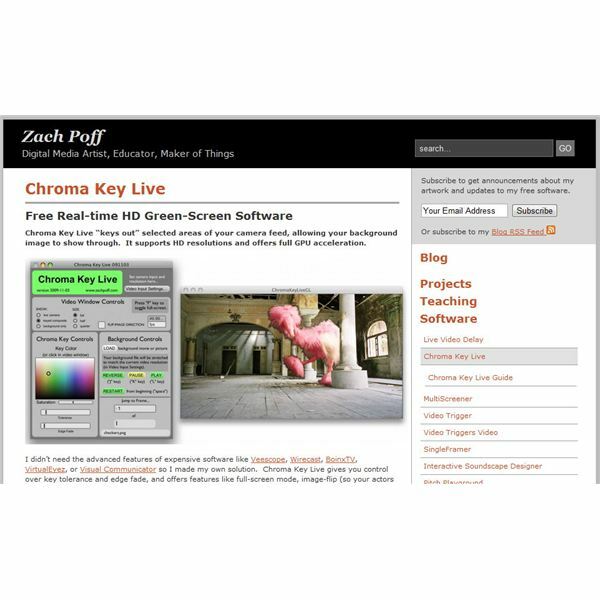 Chroma Key Live is designed to be used in live situations such as filming a scene with green screen. This lets filmmakers see a live preview of what the scene would look like after the green screen background is removed. It can also be used in live broadcasts, giving the performers a dynamic background when seen through a screen or a monitor. Wax is an all-around special effects software that lets filmmakers use different kinds of special effects to produce dynamic pieces of film. These effects include 3D effects and chromakey compositing. 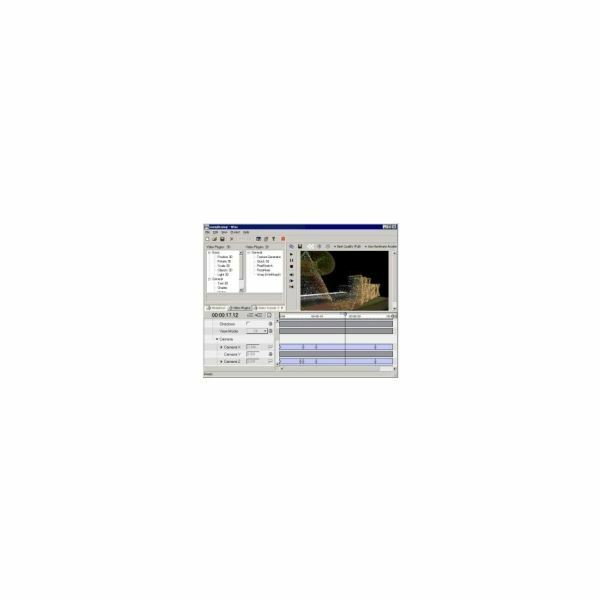 You can use it as a standalone software or a plugin to assist your main video editor software in applying effects. You can download this for free from CNET. While some of these free green screen software applications are full versions, keep in mind that others are just trials versions. However, all of them are capable of providing great effects and an efficient workflow. Do you know of an application not mentioned in our list? If so, feel free to visit the comments section below.